Renault is one of the cheapest but riskiest bets on the global auto sector. The stock has gotten a lot less risky now that the French auto maker has drastically reduced its debt by selling part of its stake in truck-maker Volvo AB. No wonder investors are excited. Renault's stock was up 7% Thursday. The cost of insuring Renault's debt against default also fell sharply. But investors still need to keep their enthusiasm in check. Renault has done well to raise €3 billion ($4.18 billion) by selling all its 303 million B shares in Volvo for 93 Swedish kronor ($13.88) each, a slight discount to Wednesday's closing price but 60% above the stock's 2010 low. Better-than-expected U.S. September truck orders ensured strong institutional investor demand for Volvo stock. The French auto maker is retaining its A shares in Volvo, which gives it a 6.8% equity stake and 17.5% of the votes. 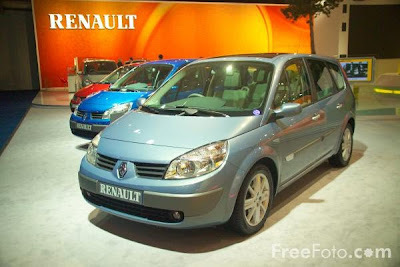 The move dramatically reduces leverage in Renault's automotive business. It had net debt of €4.7 billion as of June 30, equivalent to 1.3 times forecast 2010 earnings before interest, taxes, depreciation and amortization. Renault's extra financial security isn't to be sniffed at considering it was bailed out by the French government last year. But Renault still faces considerable challenges. It is heavily reliant on selling low-margin small cars in Europe, a market likely to contract as subsidies end next year. The yen's strength against the dollar is a headache for Nissan Motor Co., which is responsible for most of Renault's earnings. Investments in Russia, a small-car partnership with Daimler, and a €4 billion electric-car program are years from contributing to earnings. Investors currently attribute negative value to Renault itself. Using market valuations for its 44% stake in Nissan and other strategic investments, Renault is worth minus €14 a share, based on Tuesday's closing stock price, according to Credit Suisse. That suggests some potential upside for the shares. But while a deleveraged Renault is less likely to lose its grip of the road, the way ahead still looks bumpy.